Three’s never a crowd when it comes to trophy cabinets. 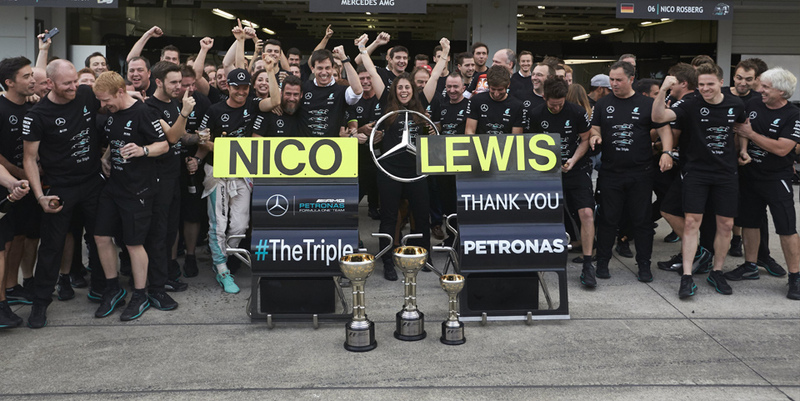 Endless Brake Technology Europe AB congratulates the Mercedes AMG Petronas Formula One™ Team on becoming FIA Formula One™ World Constructors’ Champions for the third year in a row. And they did it all for the love of racing! We are proud to be part of this incredible team.